For the longest time, I stood firm in my position: LEGGINGS ARE NOT PANTS. 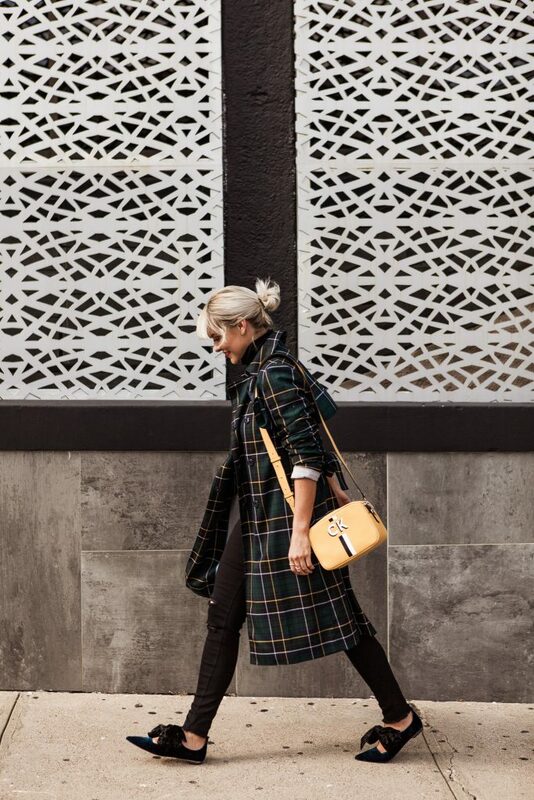 Match It: Playing “matchy-matchy” is the simplest styling trick to looking chic! Match your pants to your top (like I did with these HUE Ripped Denim Legging & black turtleneck), then use a contrasting layering piece to break up the monochromatic story! Mix It: Opposites attract! Print mixing can be terrifying if it’s something you’ve never done before, but the easiest prints to work with are always stripes & florals…like I did with the HUE Painterly Denim Leggings! Pairing them against leopard print is almost always a fail-proof mix moment, too! Pop It: Ensure your printed leggings (like these HUE Gala Velvet Floral Leggings!) stand out by “popping” them against 3 different solid shades! The contrast of colorful prints versus colorful solids really makes a statement! A colorful bootie always does the trick, right?! 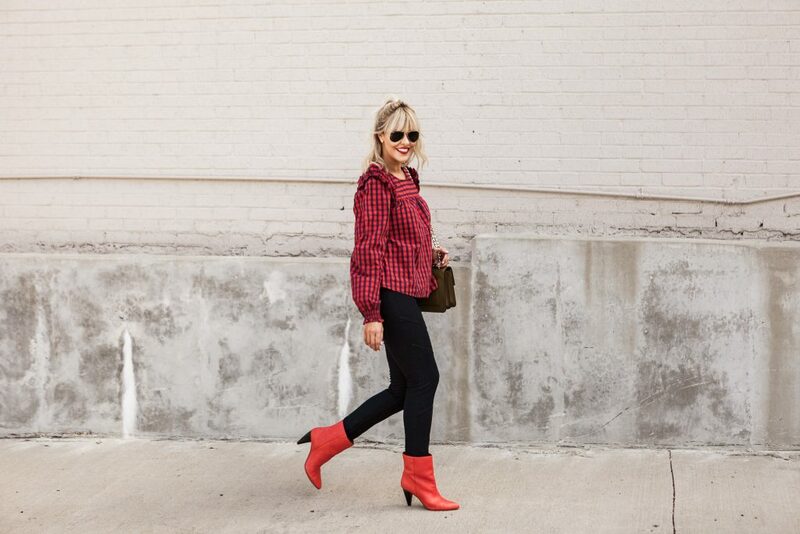 For an extra dose of fall-ready style, rock the HUE Tartan Loafer Leggings or the HUE Moto Essential Denim Leggings for an everyday look that’s sure to wow! So, what are some of the ways you #ChooseColor with your HUE leggings?! Let me know in the comments below! *Thank you to HUE for sponsoring this post! Love all these vibrant hues! I think I will try the Hue leggings out. I felt the same way about leggings not being pants. But they look like pants and have structure. Great post as always! From a fan in Los Angeles. Say hi to Fancy. I think I need those purple boots!!! They are lifeeeeeeeeeeeeeee!!!! Girllllllll!!!! I’m dying for the wine colored booties with the bow!!! Where are they from?!?!?!?!?!? where is the jacket from? Looks ADORBS!